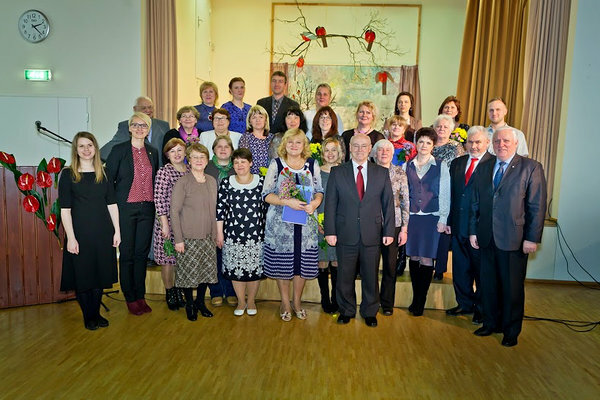 On 11 March Räpina Gymnasium (Estonia) and Pechory Secondary School nr.3 (Russia) celebrated the 15. anniversary of their cooperation. During these years several joint sports and cultural events, methodological exchange and other activities have been taken place. Peipsi CTC was awarded for initiating and supporting this Estonian-Russian educational cooperation. Today is World Wetlands Day. Peipsi CTC starts a new Estonian-Russian cross border cooperation project " Friendly Cities: Accessible Natural and Cultural Urban Environment for People with Disabilities"